While this book is a follow up, a century later, to Kingdom of Ash and Briars it is not necessary to read to understand Realm of Ruins. When magical lineage doesn’t guarantee you have magic… the disappointment and the necessity of survival becomes that much greater. Valory knows all too well about the disappointment of being surrounded, at a prestigious academy no less, and not having any powers to show for it. She’s studied, she’s practiced, she’s pleaded – nothing. Feeling like an outcast, Valory struggles to come to terms of being non-magical while her cousins grow in the magical ranks. Then one night her world changes, one cousin dead while another’s true colors show. Suspicion and outcry follow as she is facing a trial for breaking a magical law. Who is lying? Who is behind the growing attacks? Who is the “Lord of Elicromancers?” Who has Valory Braoisa become? I adored the added elements of my beloved favorites of “Beauty and the Beast” and “The Little Mermaid.” They were spot on and so tantalizing! I was swept away by imagery, almost able to picture the wilderness, and intrigue of the growing tension. Yet the characters themselves, and the plot reveals, fell a little flat. My hype didn’t meet the expectations I had set upon the novel’s conclusion. My main issue resides within the characters; for though there is growth – I didn’t connect with Valory or any of the lead characters. I understood Valory, saw her steps to becoming stronger, and yet feel that when her moments to shine came – she didn’t do anything. She was constantly plagued by fear, and guilt, and overall weakness – all realistic and explainable – but I didn’t quite believe she was ready for her BIG moment and when the transition happened at the end, I was left stumped on how it all connected. As for the others, like Mercer, Kadri, and Glisette, again the issue of their conclusions lacked the luster I had hoped for. I will say secondary characters, such as Tilmorn, Jovie, and Ambrosine, kept my interest and had a dimension I felt strengthened the novel as a whole. 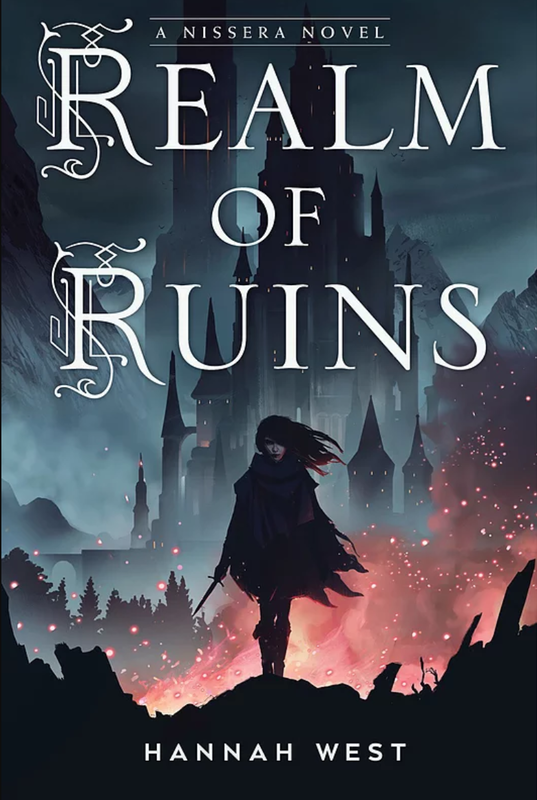 Overall, I’m rating Realm of Ruins 3/5. I felt like there was a ton of potential but just couldn’t connect with my expectations once the novel concluded. It is an enjoyable read though – give it a try!